Whether you treat humans or animal patients, your medical practice needs imaging equipment. However, the kind of medical imaging equipment you need for a veterinary practice can be quite different from a medical practice. Understanding these differences is very important when making a purchasing decision regarding C-Arm and X-Ray equipment. Let’s take a close look at what you need to consider when choosing medical imaging equipment for your practice. You might think that your veterinary practice can get away with using just a mini C-Arm. After all, your patients are often smaller, like cats, reptiles and rodents. While the penetrating power can be strong enough, the positioning options may not be enough, especially if your client base includes dogs and larger animals. 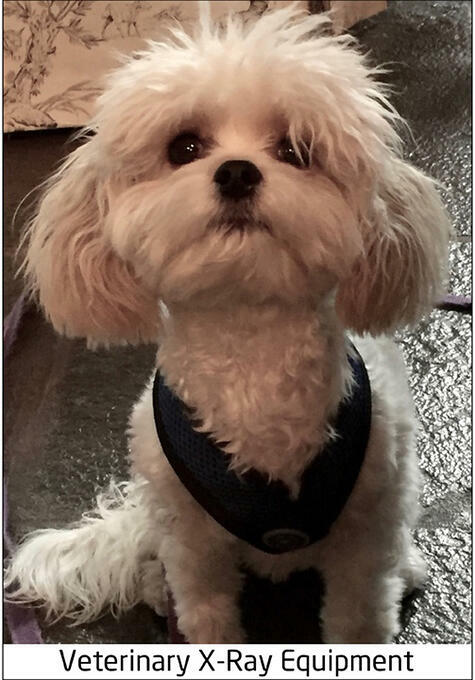 The chest cavities of many dog breeds simply won’t fit in a mini C-Arm. And certainly larger animals like cows, alpacas, horses and other large livestock animals won’t fit. In addition, the X-Ray power of a mini C-Arm can’t penetrate the anatomy of larger animals. 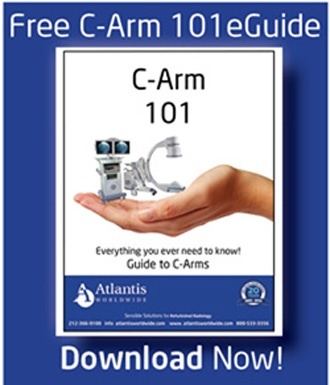 A full-size C-Arm can be a wiser choice, allowing for appropriate power penetration and better positioning—and expanding your client base. As a veterinarian, you know your patients vastly range in size. Some X-Ray systems are fine to use on a hamster or Chihuahua. But bring in a 200-pound Mastiff, a prize sheep or an emu, and things get very different, very fast. Not only do you need a sufficient X-Ray device, you probably need some positioning tools. If your practice focuses on cats and dogs, an adjustable-height table is sufficient. But if you treat bovine, equine or even zoo species, you’ll want a ceiling mounted trapeze or sling for suspending limbs. A heavy-duty patient lift that you can use on incapacitated large animals is also wise. Want to use mobile equipment like a portable X-Ray or C-Arm? A ramp that lets you elevate the X-Ray source is a great idea, as well. 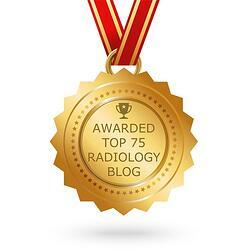 Purchasing medical imaging equipment isn’t cheap. And you want to make sure you’ve thought of everything before you set your budget. 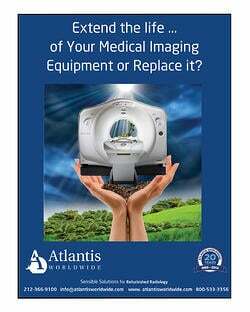 It’s wise to talk to an expert like Atlantis Worldwide, who can help you determine the right equipment for your practice. They can advise you about equipment functionality, installation needs and even whether new or refurbished medical imaging equipment is the right choice. You can also talk to other veterinarians—especially those in other markets. Talk to a former classmate or professor. They can often provide valuable insights, as well. While a competing vet in your market may not be forthcoming, vets in other communities will probably be happy to share their experiences. Contact Us Today!